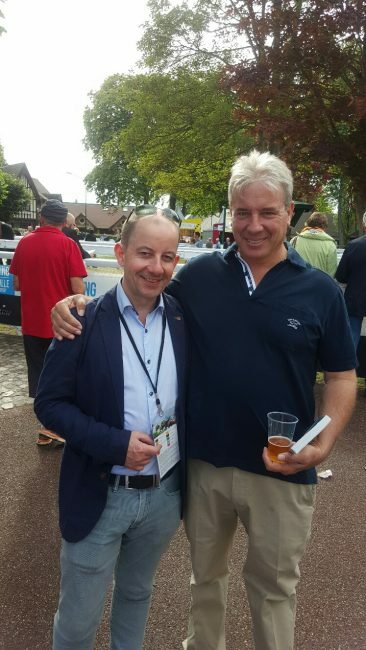 Latin American Racing Channel (LARC) sponsors the Prix Maurice de Gheest, a fast 1300 metre sprint, at Deauville races Sunday 6th August. International field of runners from USA, Ireland, G.B. including Royal Ascot Champion, Caravaggio, trained by O’Brien, ridden by Ryan Moore. 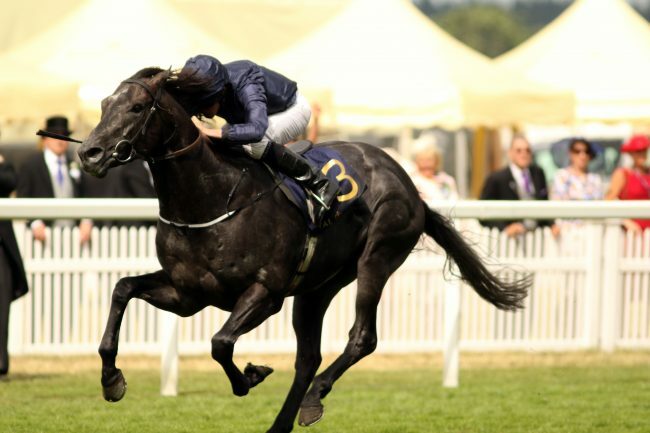 Caravaggio earlier this year winning Royal Ascot The Commonwealth Cup, 23/06/2017, trained by Aidan O’Brien, Ryan Moore up. Exclusive photo copyright Pete Mooney. 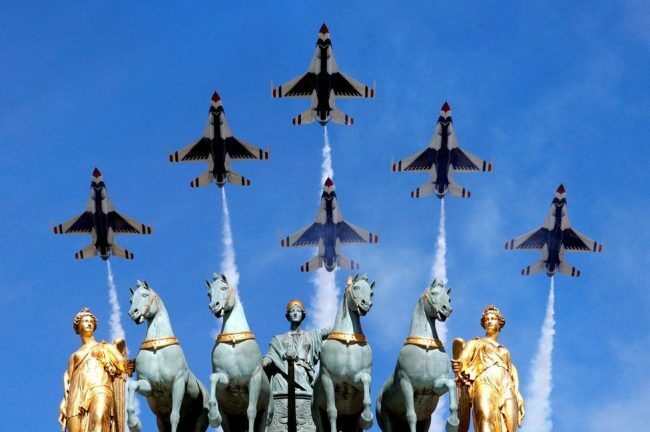 Latin American Racing Channel (LARC) Prix Maurice de Gheest Sunday 6th August, at Deauville races which are expected to have a splendid day.The horse racing at Deauville is organised by France Galop. 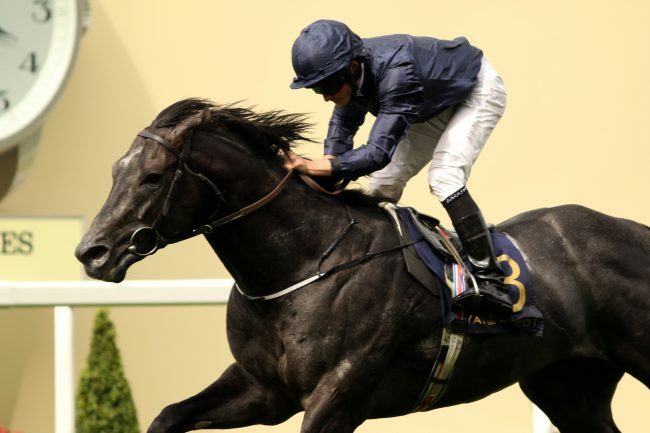 Trainer Aidan O’Brien’s horse, Caravaggio with Ryan Moore riding, should be running. 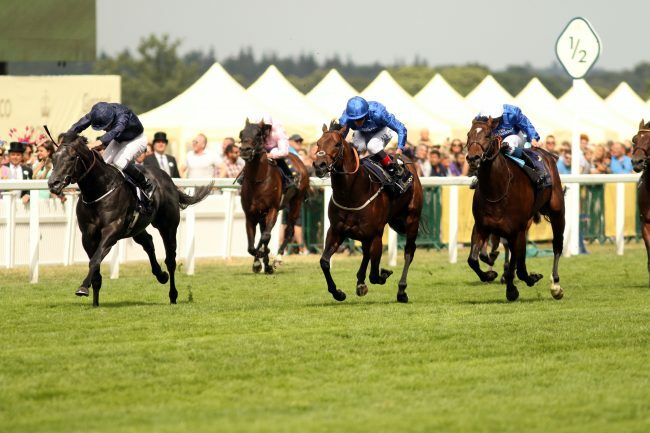 We show Caravaggio winning the Commonwealth Stakes Royal Ascot 23rd June 2017, in our exclusive photo taken by Pete Mooney..
A field of strong contenders including, from America, Trainer Dudley Ward’s horse Bound For Nowhere, to be ridden by Frankie Dettori. Dudley Ward has won the Prix Morny at Deauville races 2 years consecutively with his champion horse Lady Aurelia. Signs of Blessing, owned by a London based American, John Corbani, trained in Normandy, at Jedburgh Stud, managed by Alec Waugh, Signs Of Blessing , out of Invincible Spirit, is a horse who has raced at Royal Ascot in the 2016 Jubilee Stakes, coming 3rd. Signs of Blessing will be ridden by Stephane Pasquier, 8th in the French Jockeys’ winning listing. Trained by the great French trainer, Andre Fabre, & unbeaten in 3 outings, Rosa Imperial ridden by Barzalona, a jockey who is 5th in the winning French Jockey Listings. In a field of 13 runners Brando should be mentioned, being placed in the July Cup. The Right Man successful in the Al Quoz sprint at Meydan race course in Dubai last winter, & Acclaim to be ridden by Olivier Peslier . 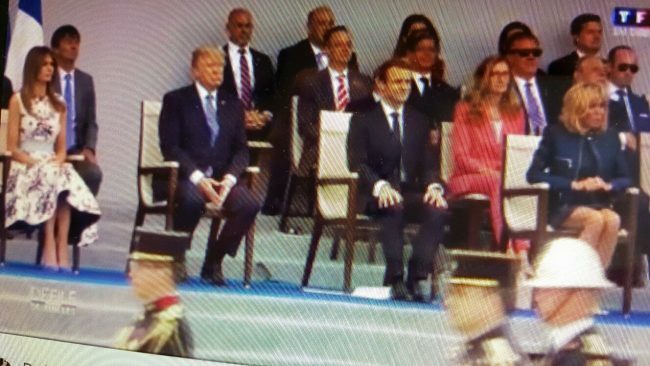 Macron & Trump Coups de Maitres as President Trump is President Macron’s Guest of Honour at France ‘s 14th July National Day procession on the Champs Elysees. In the midst of so many political considerations this was a master stroke. 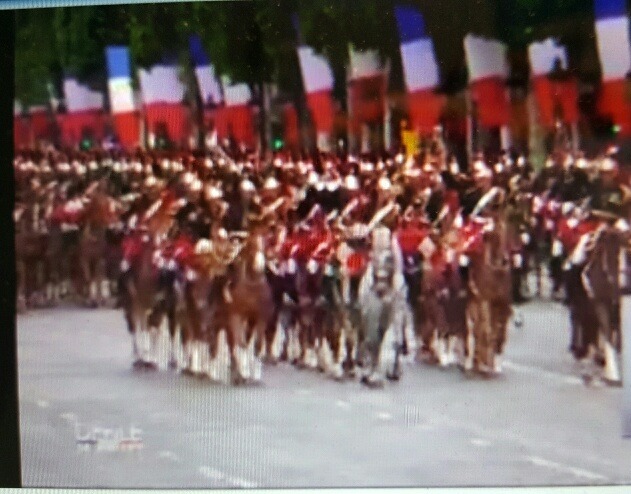 The traditional defile went with impressive military precision. 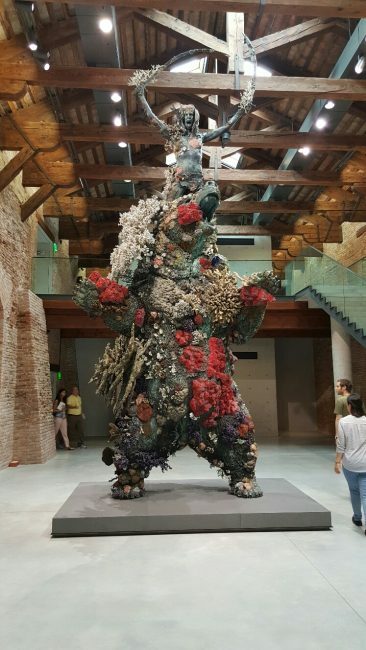 We feature exclusive photos from the Punta Della Dogana exhibition. 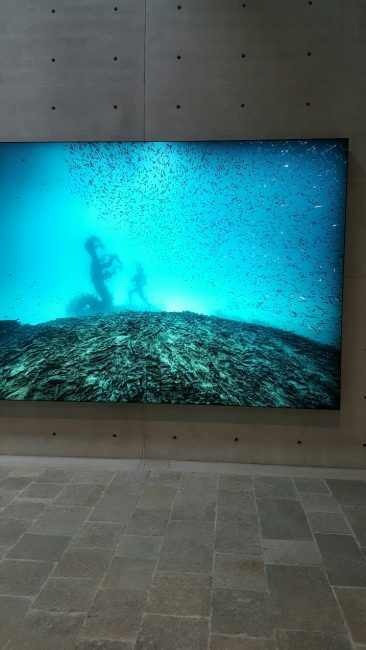 – Punta della Dogana – Pinault Collection presents “Treasures from the Wreck of the Unbelievable”. 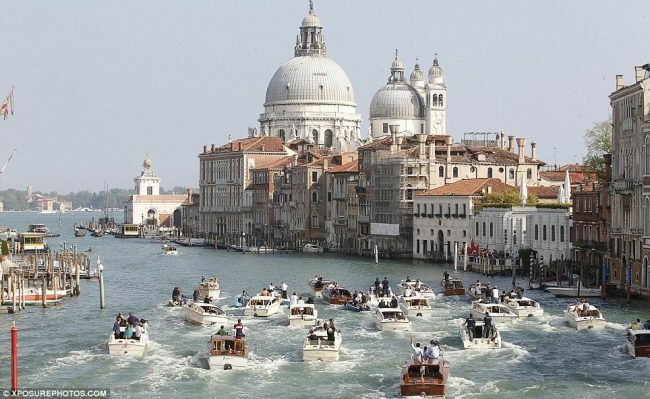 It is the first major solo exhibition dedicated to Damien Hirst in Italy since the 2004 retrospective at the Museo Archeologico Nazionale in Naples (“The Agony and Ecstasy”) and is curated by Elena Geuna, curator of the monographic shows dedicated to Rudolf Stingel (2013) and Sigmar Polke (2016) presented at Palazzo Grassi. 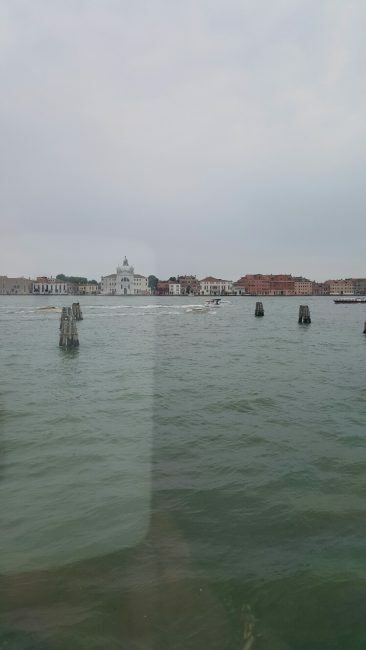 The exhibition is displayed across 5,000 square meters of museum space and marks the first time that Palazzo Grassi and Punta della Dogana, the two Venetian venues of the Pinault Collection, are both dedicated to a single artist. 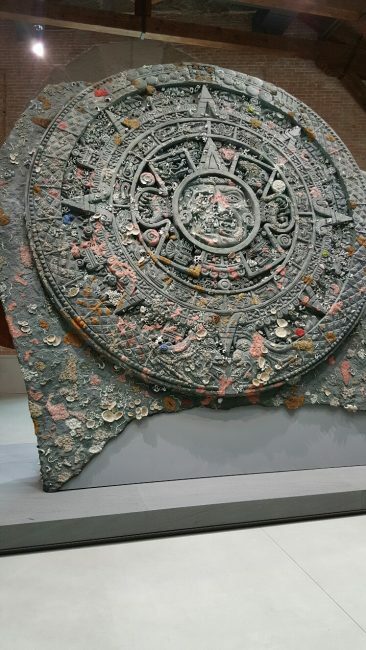 Damien Hirst’s most ambitious and complex project to date, “Treasures from the Wreck of the Unbelievable” has been almost ten years in the making. Exceptional in scale and scope, the exhibition tells the story of the ancient wreck of the ship Unbelievable and presents what was discovered of its precious cargo: the impressive collection of Aulus Calidius Amotan, a freed slave better known as Cif Amotan II, destined to the legendary temple dedicated to the Sun. The exhibition highlights the longstanding relationship shared by the artist and the Pinault Collection. 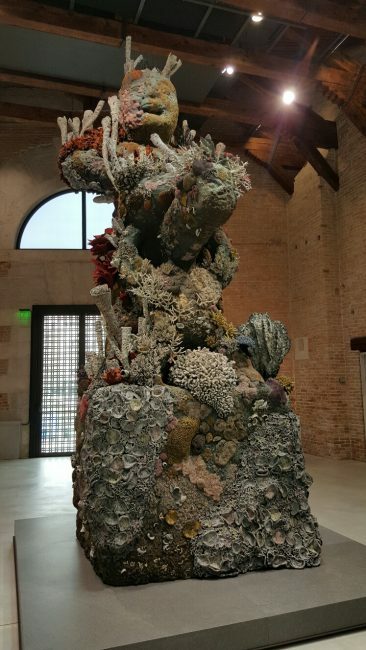 A key artist for the Collection, Damien Hirst’s work has previously been exhibited at Palazzo Grassi, where it featured in the museum’s 2006 inaugural exhibition “Where Are We Going?”. 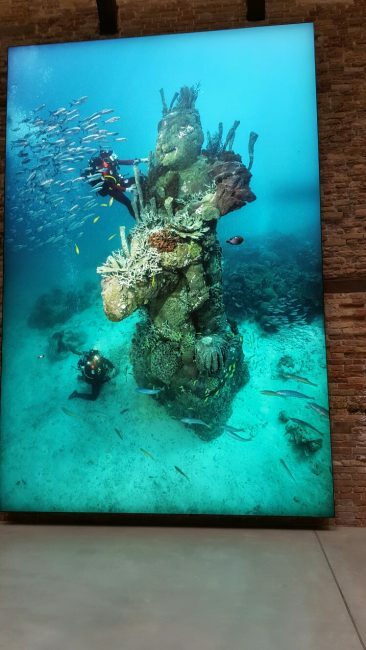 With “Treasures from the Wreck of the Unbelievable”, the Pinault Collection accompanies the British artist in making a dream come true by opening both Palazzo Grassi and Punta della Dogana, allowing the artworks to establish a dialogue between the two exhibitions spaces. The 2017 exhibition is part of a calendar of monographic shows dedicated to major contem- porary artists – Urs Fischer (2012), Rudolf Stingel (2013), Martial Raysse (2015) and Sigmar Polke (2016) – alternating with thematic exhibitions of works from the Pinault Collection. BREXIT et al. Joint Declaration of Paris EUROPLACE and Frankfurt Main Finance on Euro Clearing. July 12th 2017. Courtesy of Official Press Release from Europlace. With Thanks. Central counterparties are key to managing risk for investors. These robust structures are essential drivers of trust in the financial ecosystem. As a concentrator of risk, CCPs are systemic. In times of crisis, a diverse ecosystem of CCPs plus a clear, manageable resolution process are key prerequisites to preserving stability. In the case of resolution, the EU Supervisors and the resolution authority must be able to expeditiously reach the appropriate decisions necessary to fully protect European financial security, including its monetary policy constraints in a way that shields European tax payers from potential losses. In that context, day to day risk monitoring is crucial. It necessitates easy access to information by European supervisors, as well as efficient conditions for access to central bank liquidity based on a one-step decision making process. The legal framework in which the CCP operates must be EMIR equivalent and the CCP should fall under the jurisdiction of the European Court of Justice. 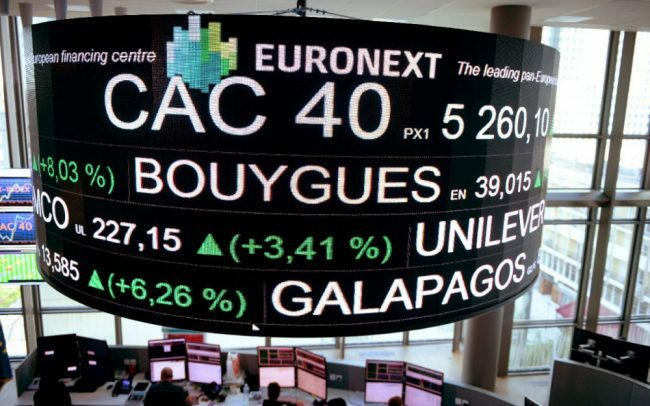 Frankfurt Main Finance and Paris EUROPLACE urge the responsible European authorities to clarify their position without delay and by doing so, bolster certainty in this systemically relevant pillar of the European financial system. 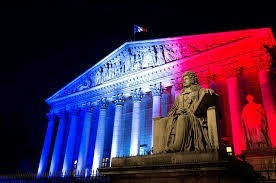 Paris EUROPLACE is the organisation in charge of developing and promoting the Paris Financial Marketplace and the French financial industry internationally. It brings together all financial industry stakeholders; its 400+ members include issuers, investors, banks and financial intermediaries, insurance companies, attorneys and accountants, consulting firms, etc. The association is chaired by Gérard Mestrallet, Chairman of the Board of ENGIE. Frankfurt Main Finance is the voice of the leading financial centre in Germany and the euro zone, Frankfurt am Main. The initiative has more than 45 members including the State of Hesse, the cities of Frankfurt and Eschborn, and dozens of prominent actors in the finance sector. Through their membership and engagement, they all demonstrate their close relationship to Frankfurt and desire to position Frankfurt amongst the top domestic and international financial centres. Frankfurt Main Finance leverages the influence of its members to advocate for the Financial Centre Frankfurt and provide high-caliber dialogue platforms. 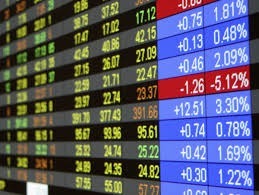 For more about Frankfurt Main Finance and its members, please visit www.frankfurt-main-finance.com. Amore Italia. George & Amal Clooney welcome their twins, Alexander & Ella. Joy & happiness. 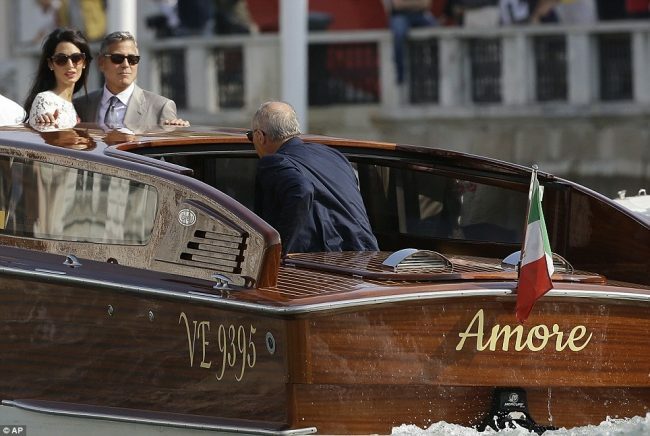 George & Amal married in Venice in 2014 in a fabulous Venetian party. George and Amal Clooney. Copyright Getty with thanks. 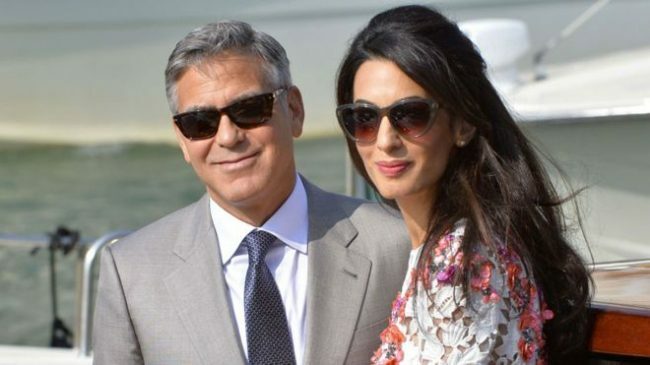 George & Amal Clooney welcome their twins, Alexander & Ella. Joyful occasion. Sail-World’s cameras were on the water again on the Great Sound for the start of Round Robin 2. 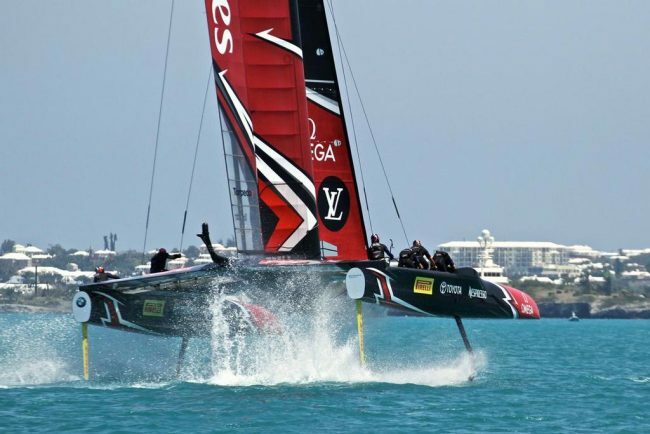 The regatta has started to lose some of its bonhomie, as one team will be out of the competition come Saturday, and two more go towards the end of the following week.